Observation - Very Warn Butterfly - UK and Ireland. Description: This is a very warn female Meadow Brown. Despite large chunks missing from its wings it was able to fly. 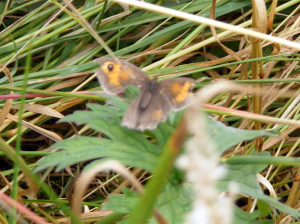 This is a very warn female Meadow Brown. Despite large chunks missing from its wings it was able to fly.